Poppytalk Home Sweet Home Picks! Poppytalk Handmade is an amazing online marketplace where you can find all kinds of great designers from around the world. This month's theme is Home Sweet Home! Check out My Poppytalk Galleryto see some of my sweet designs for your home! 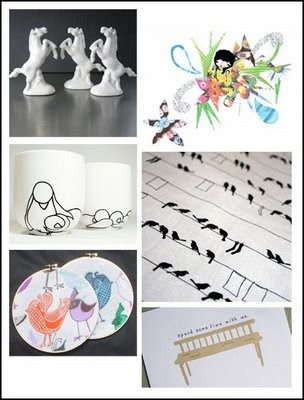 Also check out a few of my favourite that you'll find on Poppytalk this month! July 07, 2008 by Hey There!